I helped start this magazine because when my children were diagnosed, I was scared and overwhelmed but as time went on I learned that I didn’t have to be. There are a ton of resources and help out there and I wanted to help parents sort through all the information to decide what is best for their child. I want you to know that you don’t have to see “autism” as a burden just perhaps a different journey that may require an alternate roadmap. With this in mind, I would like to discuss an issue that has been of great concern to the autism community recently – Autism Speaks. A lot has happened in the past month or so and the most prominent of them being a boycott of Autism Speaks and its Sponsors. Now as a mom with two children on the spectrum, and an American, I have heard of Autism Speaks. In the beginning, the three mentions I would hear about were that people raised money doing an Autism Speaks walk and in April people “Light It Up Blue” for autism and at every major retailer I get asked at the register if I want to donate money to help an autism family. So when I could I gave money and I thought I was helping families. However, I started to rethink this when people I know needed help and reached out to the organization and after hours of compiling paperwork and filling out more paperwork and fulfilling all the requirements they were all denied. So I started to do some research into how much actually goes to these “autism families” that customers are told need the financial help and I was appalled. I didn’t realize that non-profits could spend that much money on salaries and so little (by comparison) on the very families that they claim to be helping. As the editor of an autism magazine, I try to respect both sides of every discussion and I believe everyone is entitled to their own opinion but I also believe that we have the right to know what is being done in our own community. I have had the worries of not being able to afford special measures to keep my door locked to prevent my child from wandering. I was one of those families that could’ve used help, but I didn’t realize what was behind Autism Speaks and the masses of money they collect by using our “autism families” as their lure. I have read countless articles and blog posts about Autism Speaks. However, I really didn’t take the time to research it further because I figured people can choose who they want to support; that is the beauty of America – choice! Besides, the mission statement seems so positive and they even claim to bring “hope,” “raise awareness,” and are dedicated to finding “treatments,” but what is meant by and what will come of the biomedical research? How exactly is a neurology going to be “prevented” or “cured?” Neurology isn’t an illness. Will any of this science result in harming people/babies/embryos/etc.? I have many questions to which I couldn’t find answers. When Suzanne Wright posted her “Call to Action” speech, which started a whirlwind of controversy it made me realize that in America we also have free speech and I wanted to let people know what is going on besides Light It Up Blue. Awareness is needed but so is a positive approach; so people don’t fear or pity ASD people. Knowing the word “autism” isn’t enough. I believe people fear the unknown and for many they don’t know what autism is – it is unknown. So why don’t we educate people and show the public that people with autism are awesome and loving? I believe with knowledge will come understanding and with understanding will come acceptance, which will hopefully put an end to bullying and hostility. For many people in the Autism Community the Call to Action was the last straw and instead of remaining silent, the boycott was formed. Since I wasn’t following this, I asked Renee Salas why she was part of The Boycott against Autism Speaks and you can read her article after reading Inner Aspie’s article Changing Perspectives: This is Autism. Ultimately, I was asked where I stand and I started to research. The bottom line is this – I and therefore Autism Parenting Magazine as a whole will not support an organization that uses their press releases to create pity for autism families instead of knowledge of ASD, that claims to offer hope (hope of what?) and that gives more to their employees then they do to the families that they are supposed to be helping. 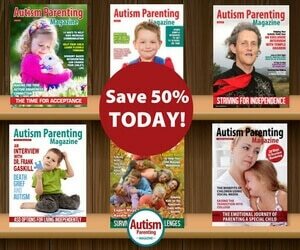 I am tired of all the gloom and doom in the media about autism, which is why I was happy to help start a magazine that focuses on the strengths of ASD people while finding resources for areas in which they need help. When my children were diagnosed I was pointed towards Autism Speaks and their First 100 Days Kit. I found the suggestions were depressing and pointed me towards ABA therapy (and its variants) as my only options, which may work for some children but what about other options? This is not hopeful or helpful. Part of Autism Speaks’ mission statement clearly states that Autism Speaks “…works to bring hope to all who deal with the hardships of this disorder.” Do not claim that every autistic family is struggling because every family is different and every person handles things in their own way. I am not going to say that parenthood is blissful all the time but who went into parenthood thinking parenting was easy? Also, by making a public announcement that people with autism are burdens and because of them their families aren’t living you are creating hatred towards autistics. How can you claim that you want acceptance when you clearly don’t treat people with autism as equals? The other day I read a blog post from Tricia of http://crittersandcrayons.com/ entitled Parenting is Like Sledding. Sled Optional. and in it she writes how while trying to answer her daughter’s question of “Is it easy having kids?” Tricia honestly explains to her daughter that “…something can be TOTALLY NOT EASY while still being simultaneously TOTALLY AWESOME.” To which her insightful first grade daughter equates parenting to be like sledding because although you have to trudge through the snow uphill it is totally worth it for the awesome ride down. This is how I view parenting. However, just because I admit that it isn’t always “easy” does not mean in any way I would ever say that children are a “burden.” If you need help to get your child services, or to find a better therapy, or to plan for their future then let’s help you. Let’s join together and help each other. In the past, I often used to tutor children that were adopted from other countries and sometimes those children would have a learning disability or neurological disorder that the parents didn’t anticipate. I remember one mom that told me, “She wasn’t prepared. She had read all the parenting books and none of this was in there.” She was scared and I took her hand and told her, “Then it is time to get some new parenting books and together we will figure it out.” This is me taking your hand and telling you this is not a death sentence and together we can make a positive difference while still being respectful. 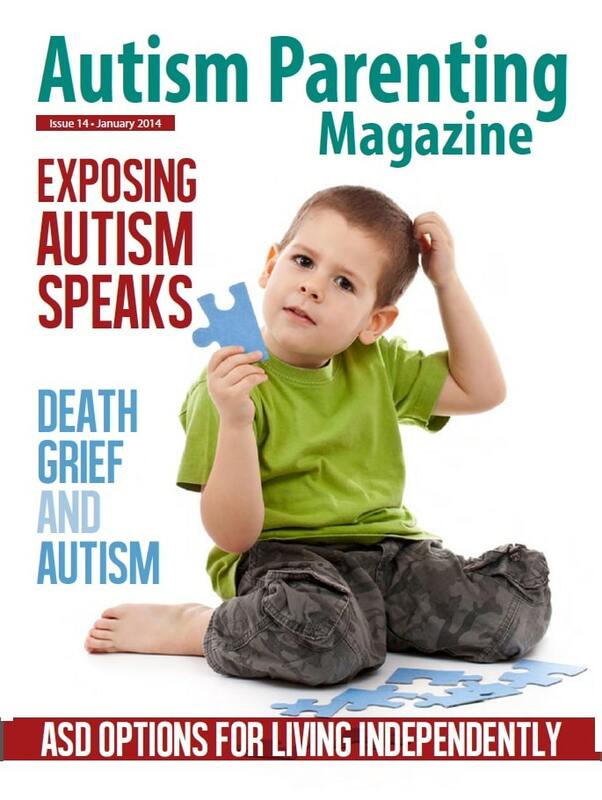 So as of today, Autism Parenting Magazine publicly announces that they Boycott Autism Speaks and hopes that others investigate the charities that they support to make sure that their mission is one that you fully support and that their money is going to issues that they believe will make a difference. Leslie- as a parent, I applaud your article and your joining the boycott of Autism Speaks. I’d like to add a few things: the listing for “Family Services” for just over $2 million dollars in expenditures is misleading. Many people and organizations have reviewed the finances of Autism Speaks, ans it appears the actual services to autistic people and their family equals only about 4% of their budget. Lumped into services are likely things like the 100 Day Kit etc. that most people woild not consider in the “family services” category. AS, or A$ as many refer to also has not a single autistic person in any position of power or decision-making. This is an extreme violation of a group’s right to self-representation. Imagine the leading women’s rights organization..run exclusively by men. There are autistic people serving in all capacities around the world– except at A$. Disgraceful and completely unacceptable. Lastly, A$ gets the lion’s share of its money from parents and friends of autistic people. These donors expect that A$ will be using that money to help THEM. But they are completely being fooled. As noted, only 4% of the money they take out of communities goes back into those communities. Can autistics and their families afford to lose 96% of the money they donate to salaries and irrelevant research? Clearly not. I don’t give “Autism Speaks” my money, so why would I give them the symbol of that money? I struggled with this as I meet people who are co-operating with AS to facilitate creating a registry in Ireland that is independent of the state (as people really mistrust state services) As far as the cost vs benefit argument, I couldn’t comment as I live outside the USA away from the ubiquitous fundraising that seems to go on. I like VB Mapp and learner centred models that are focused on adapting the lesson to suit the learner and following their interests. ABA is a huge science which encompasses many approaches to teaching as long as they are adapted and measured. But the deal breaker was the Wrights “Call to Action” – as founders they have had 8 years to learn to love and embrace their grandchild as they are. I found it insulting to parents of children with autism who have learned to embrace differences, recognise and overcome challenges and enjoy a rewarding life. I felt it added to the fear of Autism and I feel really blessed not to have read it 12 years ago when I first encountered autism in my first born. So while it may cost me I just had to say No when asked to support their activity. They need to stop speaking and start listening, and I’m quite happy to tell them what they need to hear. A wonderful read this month. I have shared on all my social media! I agree Eddie..I have shared also. 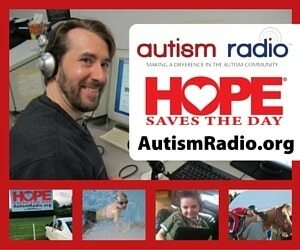 People need to know that the asd non profit communities are the ones who need support not Autism Speaks. Autism Speaks focuses on a day(cure) that may never come, are we suppose to sit around and wait for them to perform a miracle in their labs? These kids need support right now, where they are. #ASDKidsMatter not tomorrow, today! Thank you. This comes as a huge relief to me, to see more and more reputable mainstream organizations finally recognizing that Autism Speaks self-serving inaccuracies deserve condemnation. Sometimes I think people are afraid to criticize evil done in the name of good, yet that is ultimately the worst kind! I read the notes at the end of the financial report and noted that the outside groups who did fund raisers were all either started by or had as members on the board of directors AS executives. Same with some of the research grants. As an adult with Aspergers, I applaud you for standing up against Autism Speaks. Even after repeated requests to include Autistic people as part of their group, and on their board, they have only let a few token Autistics in. So while they call themselves “Autism Speaks,” they don’t let Autistics speak for themselves. And besides the appallingly small amount of funds that actually trickle down to those in need, the group is guilty of fear mongering in the worst way. There is no ‘epidemic’ of Autism. There is no ‘cure’ or hope of a cure for something that is NOT a disease. Autistics are real people. Real people with lives, hopes, dreams, and needs. We are not to be feared or hated. We need to be understood. We are also not to be silenced and denied a voice. We can speak for ourselves, thank you. The only ‘Call to Action’ is to let Autistic people have a voice, and then to listen to that voice. The only ‘Call to Action’ is to let Autistic people have a voice, and then to listen to what they say with it. It is important that families understand more about what A$ is about. I’ve heard of a few self-advocacy groups asking to sit on their board or play more of a role in informing what they do there and they were not interested. I don’t think they even responded. You had autistic individuals with PhDs and professional experience trying to engage this organization only to learn that it is only about money and power; capitalizing on the helplessness and desire for answers / feelings of hope that so many families experience. Thank you for the information on autism speaks. Like you I have 2 children with autism. My baby who is 13 now is severely. I am happy to find another parent that has a positive outlook. I get tired of hearing how people feel sorry for me or how hard it is for me. I love my children for who they are, they are bright, inquisitive, funny and would not change them for anything in the world. Keep strong. Kudos to you for joining the boycott (and as an Aspie and an autism parent, I’m excited to learn of your magazine). I have watched Autism Speaks continue the pattern of manipulative, inaccurate and pretty much hateful rhetoric for some time, and we simply must not let this be the loudest voice speaking about us – their awareness raising is only compounding the stigma, in the search for some cure they will never find. I have read through their descriptions of their work as well as their financials many times, and agree that it there’s not much of value there. But as a nonprofit fundraiser as well as an Aspie, I feel compelled to say that higher salary costs than other expenses that seem more directly beneficial to clients isn’t necessarily a bad thing – in many cases, good, talented, caring staff is the most important benefit to families and others that an organization can provide, and when salary lines mean more staff and happier staff, tha/ a very good thing. Just not in the case of Autism Speaks. Autistic adult person speaking here. I want you to know that is is entirely possible to recover from the neurological disruption that presents as symptoms collectively known as ASD. It depends what’s causing the symptoms of course. In my case, vaccine and dental mercury poisoning, and also MTHFR gene defect. It takes a lot of research but the answers are available to those who want to know. That is an interesting statement. How is a recovery accomplished? Who has the answers that are available? And what happens to an autistic person after a recovery … are they no longer autistic? Have you attempted recovery? I ask because you still identify yourself as autistic. In my case, I am autistic because that is the way my mind works. The “cause,” I guess you’d call it, is being born. And I’m pretty sure the only recovery from being born is dying. But I love to learn and would love to hear more about you. Unfortunately, I came across this way too late. I completely agree with Leslie’s decision. Understanding what causes autism is an argument that can’t be won when people have invested so much down the rabbit holes of vaccines, mercury and the like. Here’s a hint: autistic kids come from love, not from poison. As an autistic mother of an autistic child I thank you for no longer supporting Autism Speaks. They never spoke for me and I don’t expect they ever will. 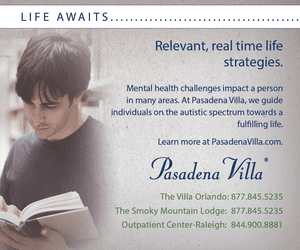 Life with autism is not easy, but is life without autism easy? Yes, the rules for operating non profits are extremely poor, but lawful. Go to guidestar.com for information on your favorite non profit. You will be shocked concerning how little money actually goes to direct services. When you cut up the spending pie, a tiny sliver, a mandatory 5%, usually goes into actual help to children and families. Senator Charles Grassley has been fighting, unsuccessfully, the way non profits operate. Until the laws are changed, the situation will not change. When I want to help someone, I give money directly to a family. The contribution is, of course, not tax deductible. I have the satisfaction of knowing that every dollar I give the family will be spent as they need it. If they want to buy an X Box or if they need special services for their child, I don’t care. It is the family’s decision how best they will spend the money I give them. Have people taken advantage of me in the past? Yes. I will continue to give without being judgmental. A family usually needs a hand up, not a hand out. The contribution should be to relieve a temporary situation, not a life time commitment to accepting help. So, the moral is to judge as wisely as you can whether the request for money is genuine, and then act accordingly. I will pay a clinic directly if they say they need special services. I believe everyone is entitled to their opinion, so I hope my post will find it’s way, even though it does not agree with yours. I can understand when people look at the Autism Speaks budget, why they feel the way they do. However, I have also had the good fortune to work with Autism Speaks, have them come to my company, and speak to our senior leadership, and help us provide a comprehensive benefit (unlimited ST, OT, PT, and ABA). We have over 80,000 employees in the U.S. So the number of families and children this will help is countless. Our family (with a 3 and 6 year old both with autism) was one of those families that Susan Wright spoke of. I don’t think we feared the future everyday, but there were days and moments we did and still do. It’s not that we aren’t happy or living…it’s that what brings us happiness or joy is probably not the same as most families with neuro-typical kids. We are adjusting and finding our way, but I think every family goes through at least some of what she described. Autism Speaks has been instrumental in helping many companies change their position about providing benefits for autism. I have not done an exhaustive study of everything Autism Speaks does or doesn’t do. But I know in my heart that the money they spend for salaries for reseacrch and lobbying (whether government or companies) does work. There are many families at my company that are extremely happy with our new benefit, that is being described as life changig…and, I believe would not have been possible without the research and presentations Autism Speaks provided at no cost!. I ask those that are boycotting to step back and think about whether you deciding all families do not feel the way Susan descibed is right. She did not say the children were a burden, but rather that life was hard…hard in a way that people don’t understand unless they have been through it. And granted, she has only been through it as a grandparent…but in some ways that may be just as hard or harder watching as not only her autistic child struggle but her own child in trying to find a way to adjust and thrive in this new life. Leslie… I too am a mother of two beautiful Autistic twin boys. Our journey has been one of joy and pain. When I say pain, it is pain in dealing with the outside world. When no one treats your children like they belong in a classroom or deserve an education because they are different. People who are teaching “Normal” children in a private school about God and how they should treat others they way they would want to be treated, then turn around and put my sons in a room during playtime… Away from the other children. Not allowing them the same rights as the other children. It was hard for me as a parent. All because these so called “Christians” didn’t practice what they preached. Seeing the children ignor my sons because the teachers told them not to play with my sons. We, As parents of children with Autism have enough on our plates to deal with. Trying to find the right place for them to go for school, for therapy or a place where they can actually make at least one friend. We DO NOT need liers using our lives for their own financial gains! There are millions of us out there that are just now hearing the diagnosis and feeling afraid of what happens next. They need to know that our children are SO VERY SMART! They are just as important and special as any other child! No matter what struggles they face, they love us so very much! It’s all the people around us that has the problem! They just refuse to ask questions or even be more understanding when we are out in public. The diagnosis isn’t as hard to deal with as it is so much harder to deal with the people who REFUSE to understand what Autism is. There is HOPE in a sense that people who do not have an Autisic person in their lives will one day learn how wonderful these Autistic people are. People should not feel sorry for us parents or for our children! We are the lucky ones! I feel so very lucky that I’m the only mother at my sons school that STILL gets “I LOVE YOU MOMMY!” with a hug and kiss in front of the entire 5th grade class… My sons are 11 years old! I’m the lucky one!!! That’s what we need to express to the parents that are just now getting the diagnosis! Autism Speaks should be ashamed of themselves! They exploited our children for their own gain! 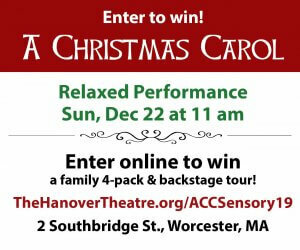 We need people like you and your magazine to lift up the families that are listening to A.S. and show them how wonderful things can be if you just see your child for who they are. It is a struggle, but one I would never ever trade for anything in the world! Thank you for bringing this to our attention! We ALL need to stick together! No one will do it for our children but us! We are their voice, their coach and their cheerleaders! Thank you so much! I have passed this onto family and friends via Facebook. I applaud you for publicly taking a stand against AS. As a mother of a son (22) with autism, I thought I was doing the right thing when I signed up as a group leader to raise funds for AS several years ago. My son and I went door to door to collect donations and raised a substantial amount. I attended the AS information meeting for group leaders to receive info packets regarding the procedure for attending the walk. I was appalled and angry when I attended this meeting/ luncheon. It was filled with hundred of people seated for a FREE lunch. There were speakers who were trying to discuss the events protocol, but no one was listening. All I could think of was, my son walked miles door to door, just so all these people could have a free lunch at a fancy hotel! Never again! Hi, Molly! I’m very interested in your comments about recovering from the neurological disruption caused by Autism. I have Asperger’s, and would like to know more about overcoming many of the symptoms – but I also have ADHD-Inattentive and Dyslexia, all of which is compounded by Sleep Apnea. Within the next year, I hope to have the Sleep Apnea greatly reduced by a new technique, which I hope will largely improve all of the above, but my niece and nephew are both young teens and quite severely autistic, and my family is starting to lose hope that they can get better – where can we look for research on how to help them, please? They meet or exceed non-profit standards. Yes, executives get paid well. I get paid well too and I am worth it. In order to recruit the best and the brightest and make your organization a success you need to offer competative salaries – they do. It is well within guidelines. It never even crossed my mind to ask autism speaks for a grant for my individual child’s needs. That’s not what I think they are there for (this is just my perspective). I have never been asked at any store to donate money to autism speaks that would go directly to families. I have been asked to donate to help the cause – that’s it. I wouldn’t blame autism speaks for the teenager working the register at toys r us saying the wrong thing. I support the reseach initiatives of autism speaks. I don’t always agree with what they do or say, but for the most part I support their mission. Thank you, Trevor! Exactly right! I posted a link with the same info you listed, but it was not published here for some reason. I love your accepting attitude towards people with autism. 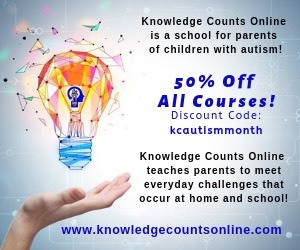 I am a parent and I want more people to learn about kids with autism and not be afraid. I want my son to get a job someday. I see that even the baggers at the grocery store have eye contact and my son lacks this. However, no one would fault him if they knew of the extreme tunnel vision he has and his difficulty with his vision and focus. There is so much that is unknown about the brain. We do need to continue to educate people. However, I also think we need to educate people about what is happening in our worlds. Even family members still dismiss autism as a behavior problem and not the brain difference that the kids are dealing with. In that way, it is miserable for many parents. There is so little support from anyone. I do think that getting the story of the hardships as well as the triumphs is essential to get everyone the understanding that is needed. ASD is not a burden on families. It may take some adjusting to at diagnosis in the context of family dynamics, but having a child with ASD can be a very rewarding experience. As for treatment, it’s not always about changing behaviors. What so many people forget to mention is that communication between caregiver and child is extremely important and psychoanalysis is proven to be an excellent mediator- not a cure and not conditioning. Thank you for the validation. I noticed 8 years ago that AS was never in this to offer support of any kind. I always questioned where the money went. At least they tithed 10% to research??? But I will say that people who encounter my daughter seem to be more tolerant than they were 8 years ago. Once I say the word Autism the look on their face changes and they seem to excuse her odd behavior. Its removed some of the stress from the worlds judgement for me that almost lead me to suicide 8 years ago. We have no family support. Its been very hard and we were not living, just existing. That statement was true for us. Of course, I am rather sarky for an Autie, so I’ve been told. LisaMaree said: I like VB Mapp and learner centred models that are focused on adapting the lesson to suit the learner and following their interests. Yes, yes, yes! That is just how ABA should be utilised! Not as an instrument of torture as in the Judge Rotenberg Center (cue said judge rolling in his grave over how his name is being used), but as one of several teaching tools that enables Autistic people to learn what they can. Judge Ernest Rotenberg is the man WHO CREATED legal loopholes PRECISELY to keep the torture program alive: the school’s founder, and a senator who sent a son to the school (he’s still there, grown and near-comatose)’had paid the judge A LOT of money to make sure that the school would remain in business, shock-devices and all, as a law unto itself. So, just why do you think that the judge would be shocked at seeing OTHERS shocked? That’s JUST the way he wanted it! I’m confused by the articles statement that 18 million went to salaries. The financial statement says 2.6 mil to management and 16 mil to fund raising. Are you saying that the 16 is really salary? As an autistic kid, I’m glad adults are becoming more aware! I’m only 15, so people don’t really listen to me, but they’ll listen to you! My neurodivergency is not a disease!